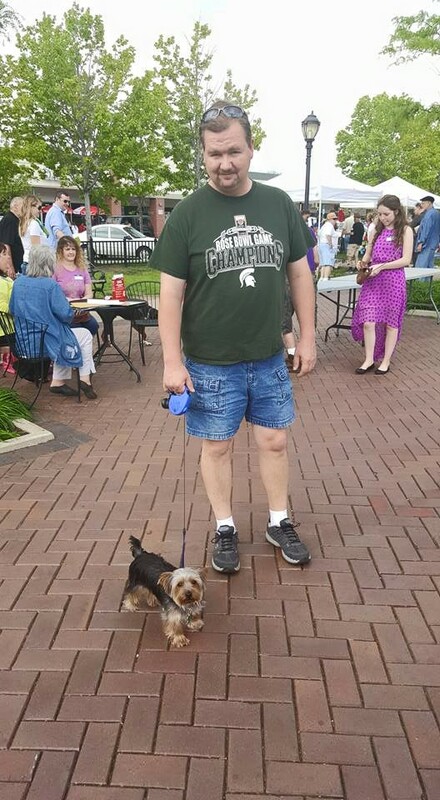 May 17, 2015 May 17, 2015 rachdean1 Pet Adoption, Stories, TrainingAdopting a Dog, bark in the park, Doctor Paws, dog vendors, dogs, Farmington, Michigan, pet costume contest, rescue organizaions, Sunquis Pavilion, therapy dogs, Therapy Dogs Inc.
Today my husband and I took Coby to the Bark in the Park event in Farmington, MI. The event took place at the Sunquist Pavilion in downtown Farmington from 12-3 p.m. The pavilion area is a centralized gathering place for events such as their farmer’s market, concerts, and more. It is a quaint area surrounded by small restaurants and stores. When we got to the event around 1 p.m. we were happy to easily find a parking place near the park. 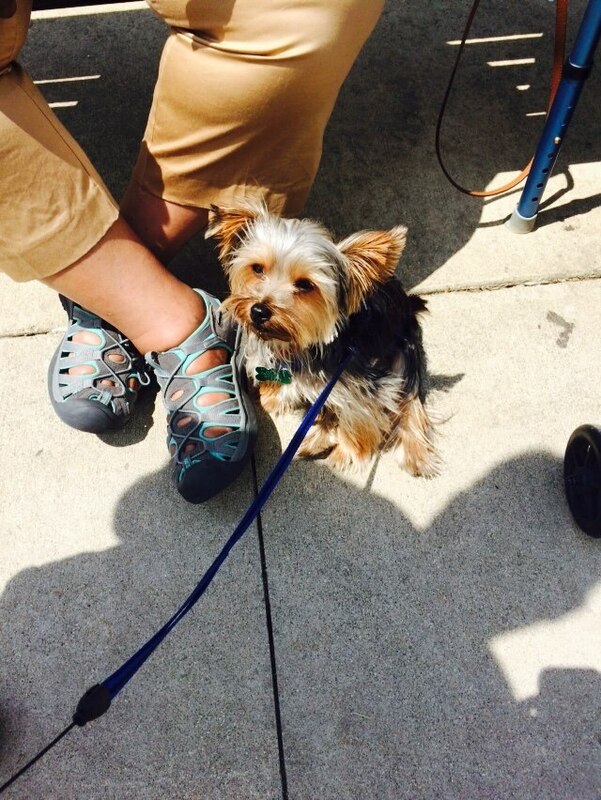 There were dogs of all sizes (on leashes) with their owners. The first thing that caught our attention was the dog costume contest. It was just ending, but we got to see which dog earned first place. 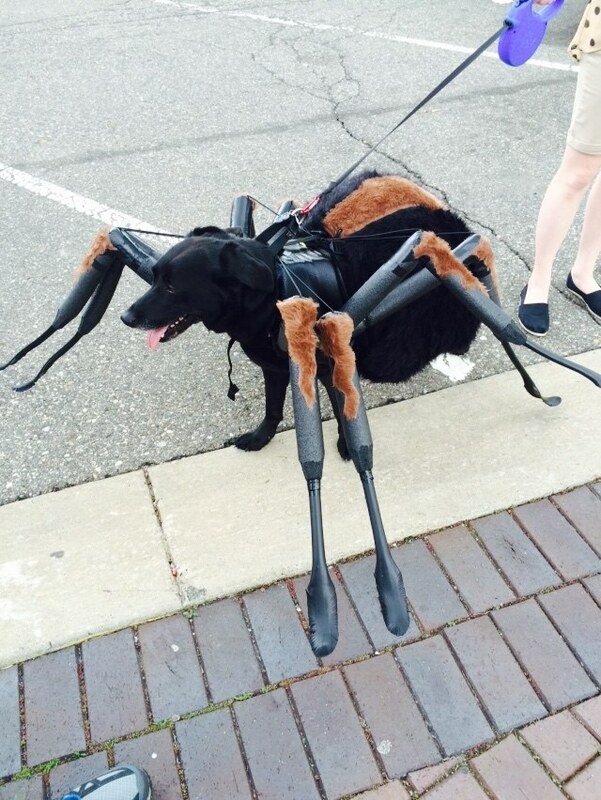 It was a large black dog dressed as a spider. He was so cool, although maybe frightening to some!!! The spider costume was handmade by the owner who commented that he made many trips to Home Depot. 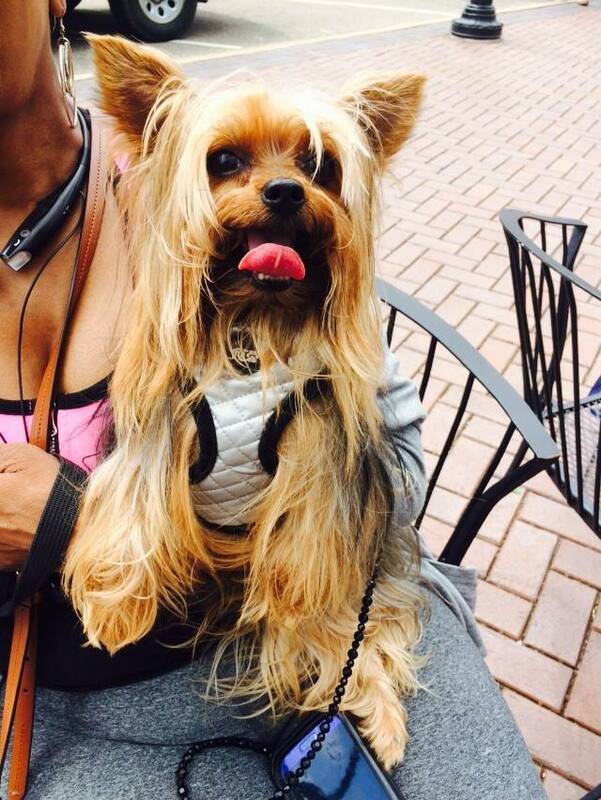 Check out the dog below and be sure to watch the short video (9 seconds). 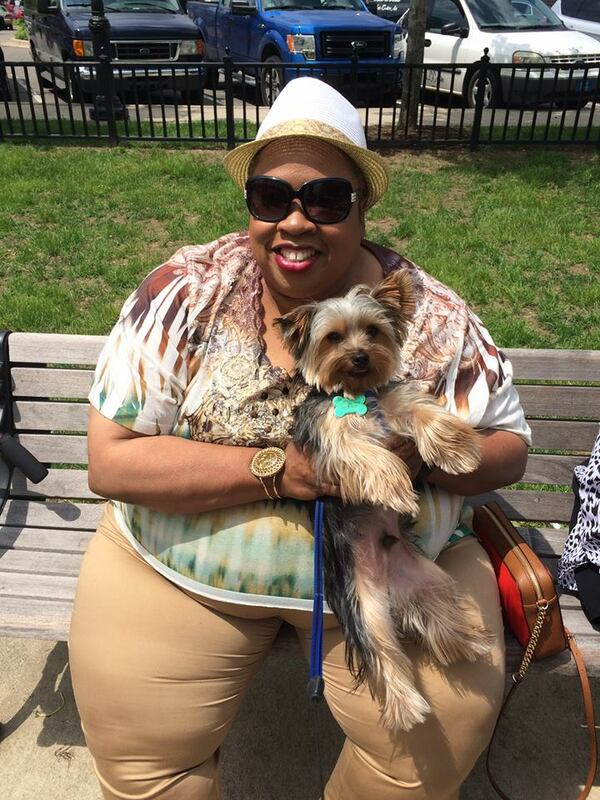 After the contest was over we ventured over to find out more about Therapy Dogs Inc. 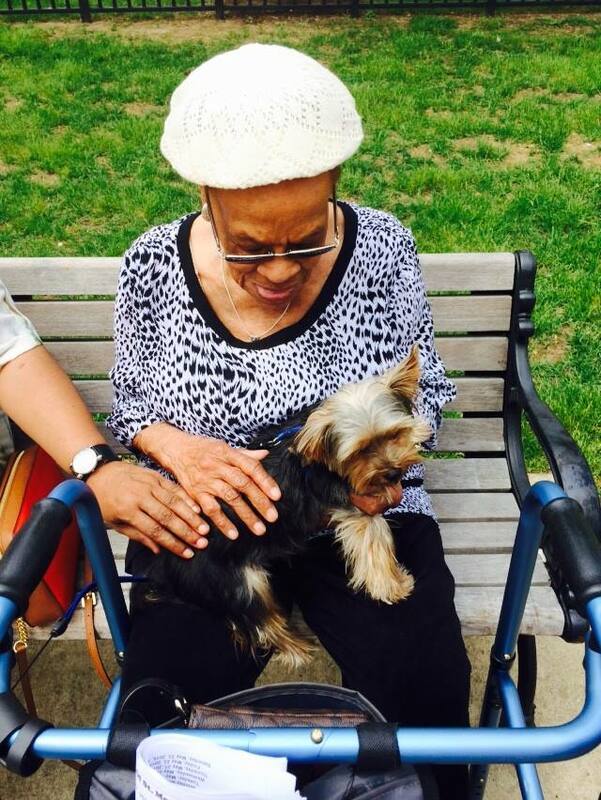 There were volunteers from both Therapy Dogs Inc. and an organization called Doctor Paws, Inc. This group was completing on the spot testing for dogs who met the requirement of one year of age. Coby will be one year of age in September and this is definitely something we want to pursue. I will be looking into various groups to join, but this group sounds promising. They test the dogs free of charge but ask people to consider making a donation of $25 to cover the Tee-shirt (with logo below) for the handler and bandana for the dog. Also, this donation allows handlers and their dogs into special functions during the year such as the Make-A-Wish events and others events. I could feel the energy and excitement of these volunteers which lets me know that Doctor Paws is a good organization to join. Can’t wait!!! 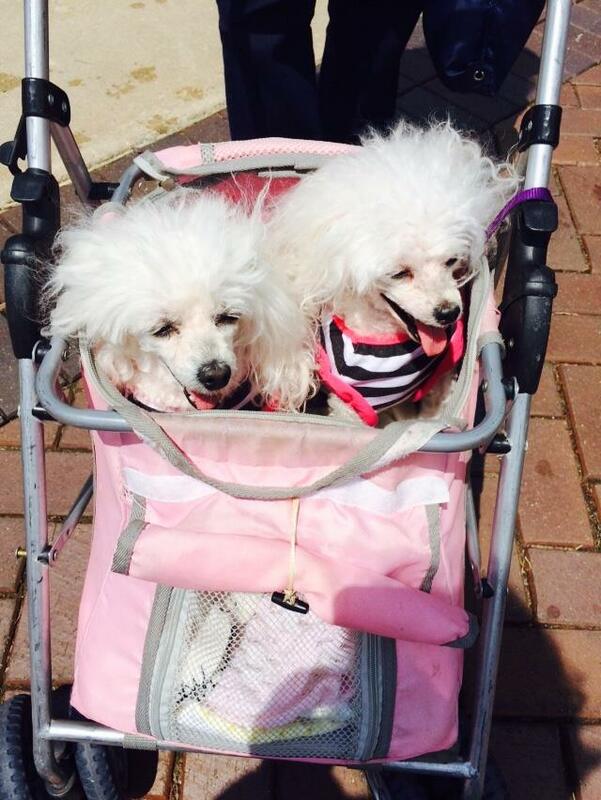 These two poodles are therapy dogs for Doctor Paws, Inc. There were many vendors at the event some of which provided services and others who were selling their goods. There were also some animal rescues. Although we didn’t purchase anything, it was interesting walking around and a good experience for Coby as he met many new dogs and got lots of attention from people. Thank you to the city of Farmington for hosting this event. Thank you for the wonderful feedback about the event. I take pride in creating and coordinating engaging, family friendly events in the community. 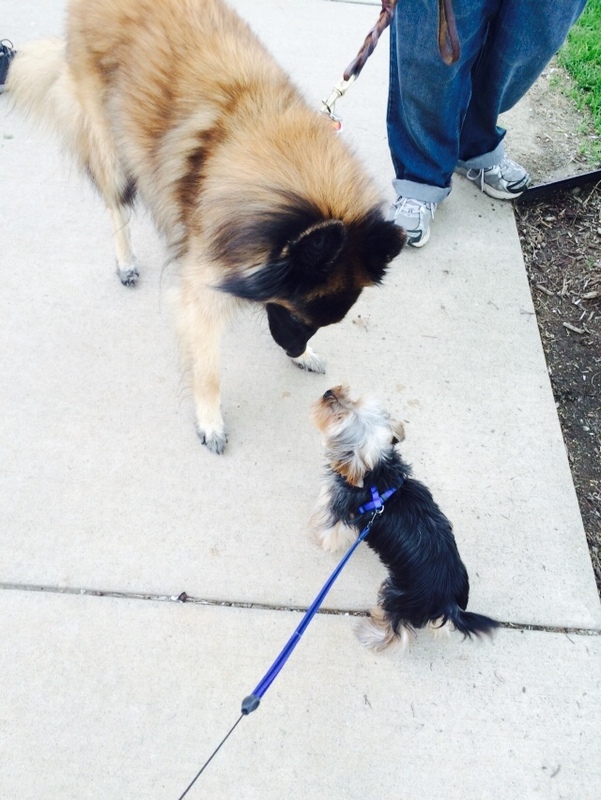 Your dogs are darling! Glad you could join us! I can’t wait to meet your doggies on Wednesday. I should have taken the girls and Sophie. OMGosh! The spider dog is too funny. 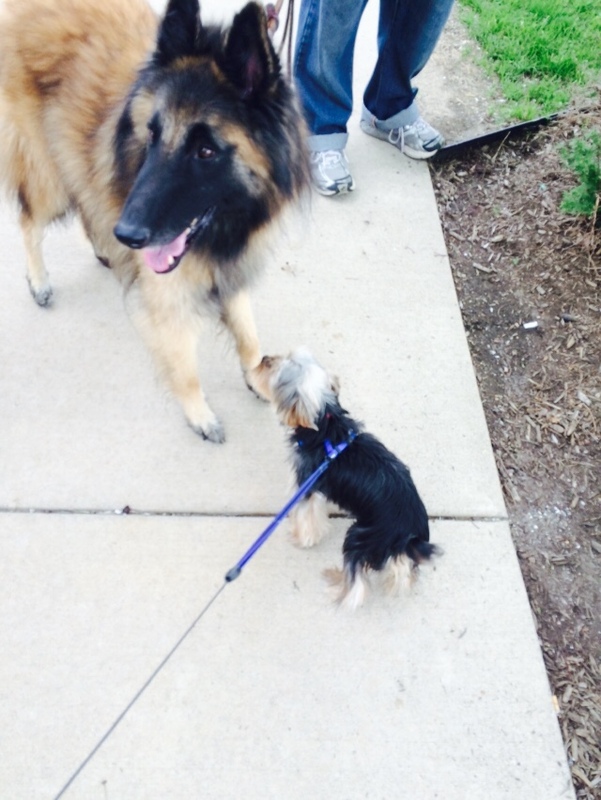 I love that they had dog parks and places that are dog friendly. 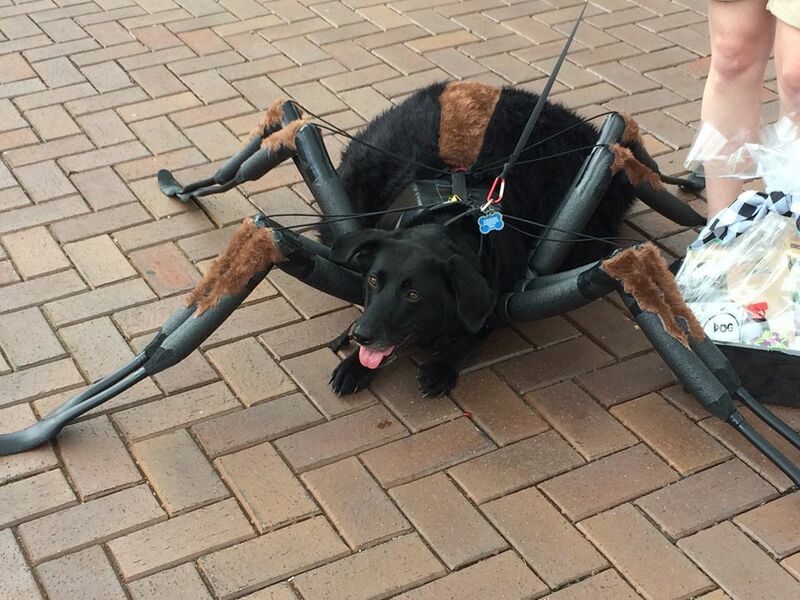 The spider dog costume is way cool! That’s great that you’re looking into the therapy dogs programs.